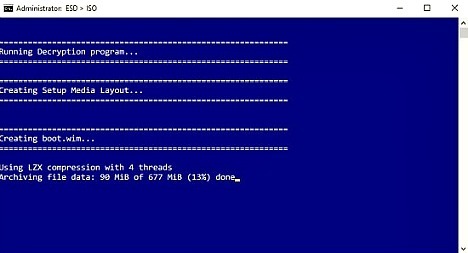 Windows Insider may looking for ISO image files of Windows 10 Insider Preview Build 14965 to perform a clean Windows install. ISO image files allows Windows user download and install Windows 10 Update later which mean that files and apps won’t immediately transfer over, instead, it will stored in a folder called Windows.old. As the Windows 10 Build 14965 currently only available for Fast rings, there is still no yet available for official ISO images. However, in this article, we cover step by steps how to get ISO image right now. The latest released – Build 14959 are available for PC and mobile phone devices with includes bug fixes and improvements and also includes some new features. For change log details check here. Now, download the ESD Decrypter tool through direct download link here. And then create a folder name: Windows 10 Build 14965 ESD. Once finish download, extract the ESD Decrypter tool into Windows 10 Build 14965 ESD folder and then transfer the ESD file in the same folder. Now, right-click the decrypt.cmd file and run it as administrator from the context menu. Windows will appear command prompt (Administrator: ESD > ISO), choose 1st option (create ISO with Standard install.wim) by press 1. Now wait for few minutes for esd file decrypt. After run decryption program, user should notice ISO file in same folder. 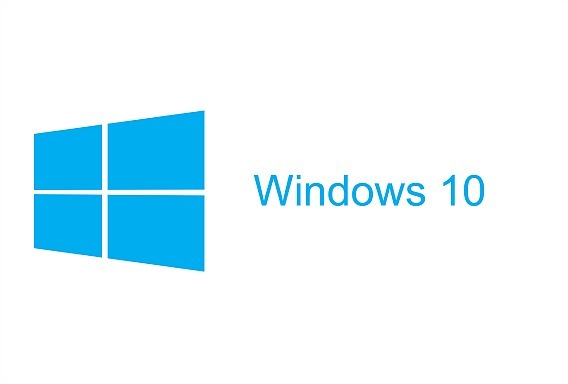 Use that ISO file for update Windows 10 Build 14965. For users who intend to install Build 14965 on multiple PCs can download MUI language packs for Windows 10 Build 14965 from HERE (offline package) to save time by not download them again on each PC.